We are all busy solving what appear to each of us to be the important problems. For example, for some of us, making more money may be the most important thing, for some others, solving social problems like poverty, inequality, corruption, terrorism, lack of education and healthcare may be the most important thing. But what if, we are all solving the wrong problems? What if, we are all missing the main point? That is the hypothesis I would like to explore in this article. And I would like to use an analogy mentioned by David Bohm of his dream involving two cats. Let’s start with the dream. I was staying in a certain house where they had a cat, and in this dream, I came into the kitchen, and I saw the cat talking to another cat, and making a date to meet at a certain time. I said, there must be something wrong here. I wonder what it is. So I thought about it for a while, and I said, oh yes. I know (what’s) wrong. 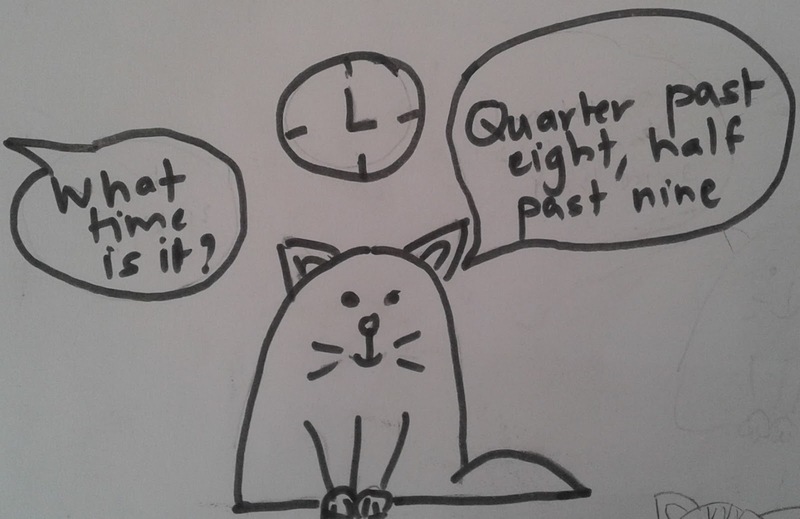 Cats can’t tell time. So I said to the cat, “You cats are not able to tell time.” The cat answered me back and said, Of course we can tell time. And I said, “Well, look at the clock. What time is it?” It was about three o’clock. It said, A quarter past eight, five past nine. So I said, there (you go). That proves that cats can’t tell time. And then I woke up laughing. And what did this dream mean, according to Bohm? He says - I simply took it for granted that cats can talk. And I said, “That’s very mysterious.” How in the world can they tell time? They don’t have the equipment for telling time. They never heard of time. So the meaning of the dream was that something similar must be happening in society, that people are arguing about small points, and they’re taking for granted some very obvious point that should be staring us in the face. So, what Bohm is saying is that when we argue about or try to solve the problem of whether cats can tell time, we miss the main point. That is, cats can’t talk. Are we all arguing about “how cats can’t tell time”? We possibly are. Let me try to illustrate this using one of my recent meetings with a friend. I met this friend; let’s call him V, last week. V was disturbed about the recent appointment of saffron clad firebrand Yogi as the Chief Minister of the largest state in India. Why should this disturb V? Because, he feels that events such as this are indicating that India’s secular image is crumbling and V is concerned. V has tried to convince his friends that India is heading in the wrong direction. But his friends haven’t bought his argument. So V is kind of lost. He doesn’t know what to do. 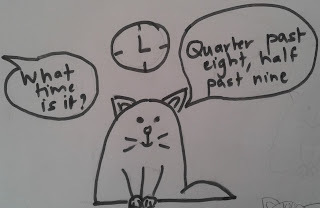 Is V’s argument a kind of “cats can’t tell time” argument? It is. So what is the main point V is missing? The main point is that the sustained disturbance in his mind is an indicator that his perception is muddled up. If V can’t see things clearly, how can he frame the correct problem? 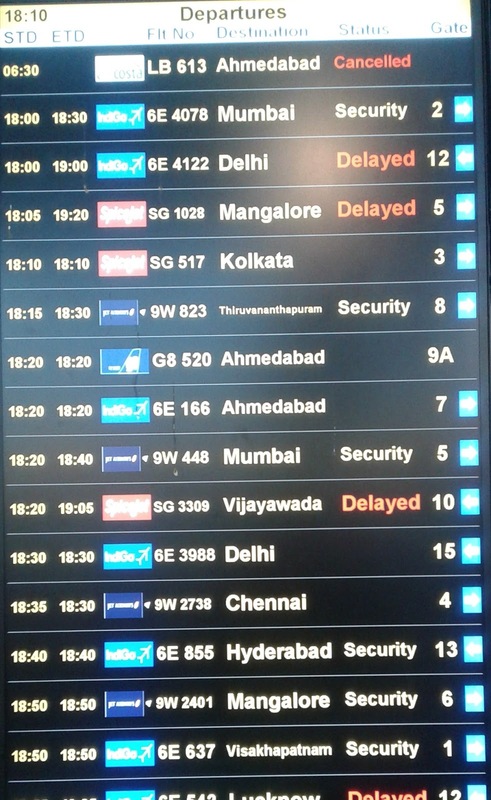 Even flights don’t take off when the visibility is low, in spite of the sophisticated guiding software. So the main point is, are you able to see things clearly? Do you have perceptual clarity? If not, chances are high, you are solving the wrong problem, no matter how noble the problem is. How do you know if you have perceptual clarity? Well, every sustained negative emotion, be it anxiety, stress, anger, blame, guilt, envy, is an indicator that there is lack of perceptual clarity. So what should one do? Well, the first step is to recognize that I may be missing the main point every time I am upset. That creates an opening through which intelligence may flow through and it may show us what is going on that is muddling up the perception. Systematic challenge book: Nineteen year old Newton left his hometown Lincolnshire to join Trinity College at Cambridge as a student in June 1661. Barring two extended visits during the plague years, this was to be his home for the next eighteen years. 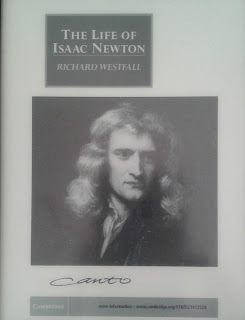 Soon Newton started reading the work of intellectual giants of his time like Descartes, Galileo, Boyle and many others. However, he didn’t stop at just reading. Sometime in 1664, Newton created 45 headings in a notebook under which he would categorize the notes from his reading. The headings included – nature of matter, place, time, and motion, cosmic order, tactile qualities such as rarity, fluidity, softness, violent motion, light, colors, vision etc. He titled the book “Quaestiones quaedam Philosophaea” – “Quaestiones” for short. His notes would not be just copies of the interesting lines from the books he read. They would have a questioning tone. For example, he would ask “Whither ye rays of gravity may bee stopped by reflecting or refracting ym, if so a perpetuall motion may bee made of these two ways.” He considered “Quaestiones” important enough that he later composed an index. By the winter of 1664-65, Newton made a list of “Problems”. Initially he put down twelve and then modified the list to make it twenty two problems put under five categories. This list would occupy Newton for the next year. What surprised me is the systematic manner in which Newton created and maintained his challenge book. Universal gravitation as a slow hunch: The story of falling of an apple and how it led to the discovery of the universal law of gravitation is one of the most famous stories in the history of science. It shows how a simple observation can lead to a deep insight. Westfall goes to some length in the book to dispel the myth behind the story. Yes, Newton did possibly have an insight when he observed a falling apple in 1666. However, he worked on the theory of gravitation for almost next twenty years. In fact, he systematically extended the scope of gravitation to moon, then to other planets, then to comets and then to everything. By 1680, Newton still held the view that the gravitational force is specific to the solar system which contained related bodies. He corresponded with Flamsteed, Director of Royal Astronomical Society, and obtained data about the motion of Jupiter’s satellites, on the effect of the conjunction of Jupiter and Saturn and also on the comets. For two years, between 1684 to 1686, he almost locked himself up to focus on the problem of gravitation. Eventually, he was convinced of the universality of the law and he finished writing Principia in 1686. What surprised me in this case is the way Newton step-by-step extended his theory to include more and more objects by using real data from observatory over two decades. Obsession with self-image: Newton didn’t like criticism. And he fought with almost everyone who questioned him. Once he believed in an idea, he went all out to get whatever he can to show that he was right. If it meant stealing data so be it. Once he considered a person to be his enemy, he made life very difficult for the person. This became even more prominent once he became the President of Royal Society and the manager of the Mint. For example, he stole data from Flamsteed’s astronomical observations and didn’t let anyone else access it for years. During his later years, he became obsessed with getting his portraits done. As a President of the Royal Society, he established a practice that the mace (a spray) be placed on the table only when the president was in the chair. Newton’s obsession with his self-image surprised me. Reading the biography, I wondered if Isaac Newton was a beautiful mind with creativity, madness and no awakening. Who knows? 1. Current-ness: What’s the point in making a list of challenges in an off-site and not updating it until the next one? 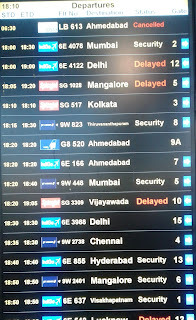 In fact, a challenge book should be current like an airline arrival/departure list. OK, perhaps not that current. But it should be current within at least a few weeks. It is possible that the few top challenges may not change within weeks. It also helps to retire challenges which are not relevant any more. 2. Prioritization: Earlier this week, I got an opportunity to meet the manager of a new product development team of one of the largest e-commerce companies in India. The product manager was candid enough to articulate some of the tough challenges he and his team is focusing on. However, his team is relatively small – ten people. I asked him how he prioritizes his challenges. He said that he is still learning. The team used to change the priorities every day a few years back. Then they learnt to hold the priorities for at least a month. Now, the team is learning to set priorities for a quarter. Without prioritization or with rapidly changing prioritizing the team can be lost. Besides the toughest challenges don't vanish in a day or two, perhaps even in a quarter or two. 3. Championing: This characteristic marks the difference between action and inaction on the challenge. A challenge either finds a champion or gets buried. A challenge is unaddressed doesn’t mean it dies. If a restaurant doesn’t respond to “home delivery through mobile app” trend, it may suffer its consequences eventually. But every tough challenge would need a person in a leadership position to champion it. This means she would put her weight behind the challenge, put a few resources together to study the issues and experimentation on the topic. A challenge book should indicate who the challenge is championed by in case it indeed has a champion. Number of challenges championed by people with senior positions is one of the important health indicators of its innovation initiative. In short, current-ness, prioritization and championing are the three characteristics of a good challenge book. Hope this helps you to improve your challenge book.